Replacement: None. We are no longer carrying this bare IC on the storefront. This page is for reference only. Silicon Laboratories USB to UART IC. 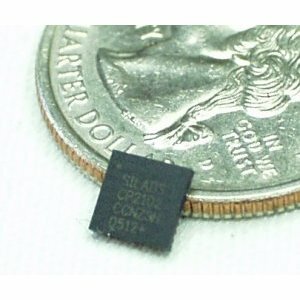 The latest units from Signal: the CP2102 is a drop-in pin replacement of the CP2101. Also available is the CP2102 Breakout Board! No, because this is not a host USB chip, but a client-to-UART. This would let you connect a UART device to another device via its USB host port.